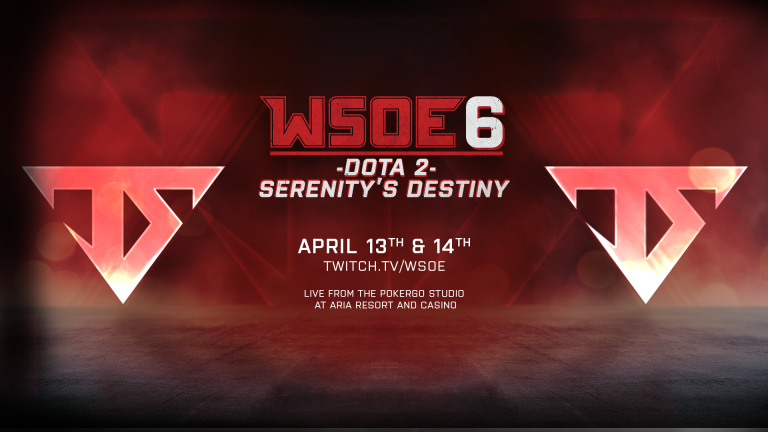 J.Storm Wins WSOE 6: Dota 2 - Serenity's Destiny! After two days of grueling international competition live at the PokerGO Studio at ARIA Resort and Casino in Las Vegas, it was J.Storm who emerged victorious! They battled against Team Juniper in the opening bout and took the series 2-1 over the underdog North American squad. In the Upper Finals, they faced off against GGNGG, who surprised Infamous in their opening match. J.Storm again went the distance and took the series 2-1 to secure their spot in the Contenders Final on Day 2. The Contenders Final ended up with J.Storm upending the South American team Infamous in another full series with a 2-1 score. That booked their ticket to the Championship Match in a Finals rematch from WSOE 1 against Team Serenity! The Championship Match was the only best of 5 series of the tournament, and it did not disappoint! Another series of nail-biting games led to a 2-2 score and the promise of an epic Game 5. It took everything J.Storm had to weather the storm from Team Serenity and outlast them in an uphill battle for 72 minutes in a crazy comeback to take the win and the Championship for themselves. Congratulations to J.Storm on becoming our new Dota 2 Champions!